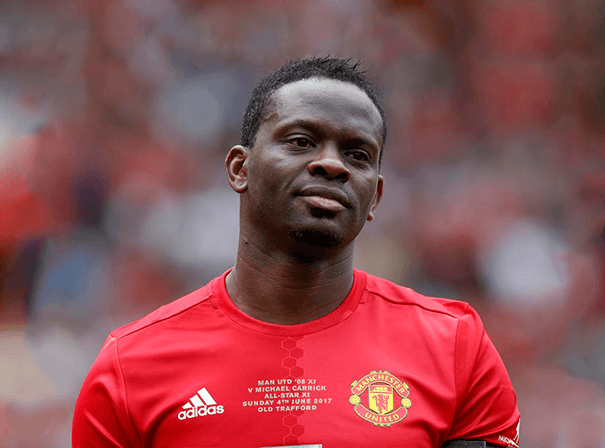 French former professional Soccerer Louis Saha had a great career playing internationally as well as for many top domestic sides around Europe. In all Louis, a fast paced striker with long legs, great athleticism and the ability to score from nearly anywhere, picked up 20 caps for his French team and in that time netted on four occasions. A former scholar at the Clairefontaine Soccer academy, Louis’ own playing career began at Metz, and from there he went out on loan to Newcastle United. After that, and at the beginning of the 2000-01 season, Louis went to play for another English side Fulham, where he became a key part of the team and was truly established as the go to striker for the side. He truly helped the team win promotion in his first season with them. Because he played so well and was such a difficult striker to play against, other top flight teams were looking on with envy and so it was that Louis was signed by Manchester United for more than 12 million pounds in the January transfer window of the 2003 to 2004 season. Unfortunately Louis had some real injury problems during his time with the side, including a badly broken leg, but he still played a key role in the side winning the Premier League title twice, as well as the 2007-08 UEFA Champions League. He also netted on the way to the team winning the League Cup so is a real Soccering star who adds real value to any event, TV show or charity function.